Vitamins, salts and free amino acids make up the rest. Royal jelly is the food of queens — we do not mean human monarchs, but queen bees. It’s actually a substance secreted from the glands of worker bees; it is collected by bees to feed bee larvae. Thant means that after a few days old, only larvae that have potential to develop into bee queens continue to be fed this nectar. Since queen bees are much bigger than regular worker bees and live longer, Royal Jelly is believed by many to have mystical qualities. 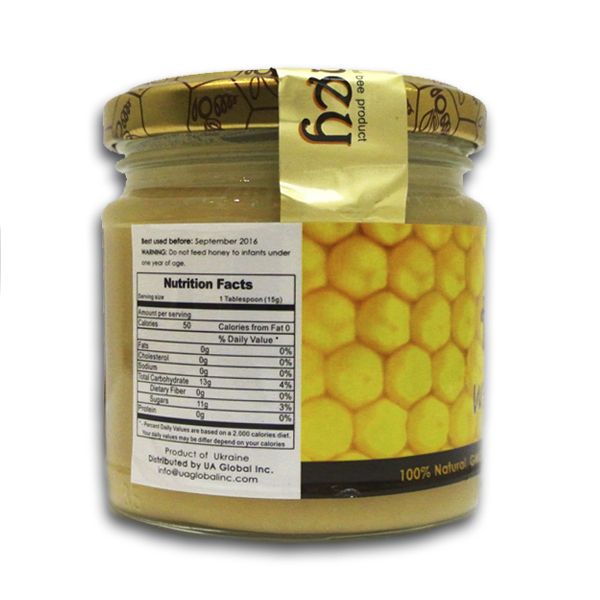 Be the first to review “Honey with Royal Jelly 250g/8.82oz” Click here to cancel reply.